Buying a campsite for sale can be a great business opportunity. Deciding to buy a campsite is one of the most important decisions you can make for you and your family. Campsites are the popular holiday destinations for American families, and billions of dollars are spent each year on camping and camp-related products. 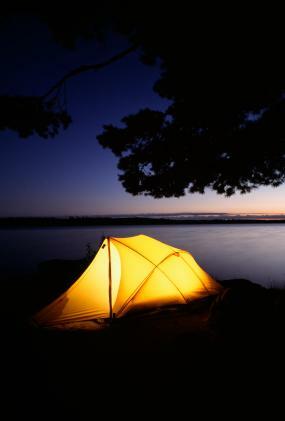 Camping is the third most popular vacation activity in the U.S, enjoyed by one in four Americans. The popularity of this activity makes operating a campground a potentially lucrative endeavor. However, campsite ownership can also turn into a money pit. If you are an ardent or at least enthusiastic camper, running a campsite may seem to be the perfect business opportunity for you. However, it is important to evaluate what is entailed in the day-to-day running of a campsite. To have a truly profitable campground, you must be prepared to work hard on a full time basis, constantly maintaining, updating and marketing your campsite. It will take tremendous amounts of money, time and effort. Much like any other business, you will also need managerial, financial and marketing skills. Talk to some campground operators before making your final decision, and be sure to ask several questions. There are different types of campsites, each suited to a different kind of camper and camp owner. Once you have selected the type of camper you would like to cater to, then determine the type of camping facility best suited to this market. There are year-round and seasonal campsites, beach campsites motor home-only and tent-only campsites, RV and trailer camps, as well as campgrounds that serve a niche market, such as hunters. Buying a campground will take quite a large chunk of change. Quantify the costs and expenses associated with buying and operating a campground, as well as the potential income that you can earn from it. The profitability of the campground will in turn be determined by the type and location of campsite you would like to purchase. Your expenses will include utilities, maintenance, taxes, improvements, marketing and other expenses. The seller or the seller's agent will be able to provide the paperwork you need to make a fairly accurate estimation, and use to get financing for the venture. There are different ways to buy a campsite. You can buy an existing campsite, purchase a franchise or build a campsite of your own. Buy an Existing Campsite: If you don't have experience in running a campground and real estate financing, buying an existing campsite may be a better option than starting one from scratch. This is also the fastest and often least expensive way to purchase a campsite. If it is an established, profitable campground, this option may also pose the lowest financial risk. Purchase a Franchise: Another option is to purchase a franchise from one of the nation's two franchise campsite companies: Kampgrounds of America or the Jellystone Park system. With this option you may buy an exiting franchise campsite, buy an independent campsite and convert it to a franchise, or build a new franchise campsite. Build a New Campsite: You could also buy land and construct a brand new campground. If you choose this option, you need to ensure that the building a campsite will comply with the various federal and local laws and regulations governing campgrounds in your state, such as zoning and land-use by-laws. Keep in mind that in addition to the time required for construction, it will likely take at least three years for your business to be financially self-supporting. Choosing to own and operate a campsite is as much a business decision as it is a lifestyle decision. Be sure to do your due diligence before you take the plunge and buy a campsite for sale.